When driving past these two billboards along La Cienega Boulevard the other day, Daily Billboard's first reaction was to assume the worst and blame some disgruntled youth for the childish graffiti on the billboard on the left. 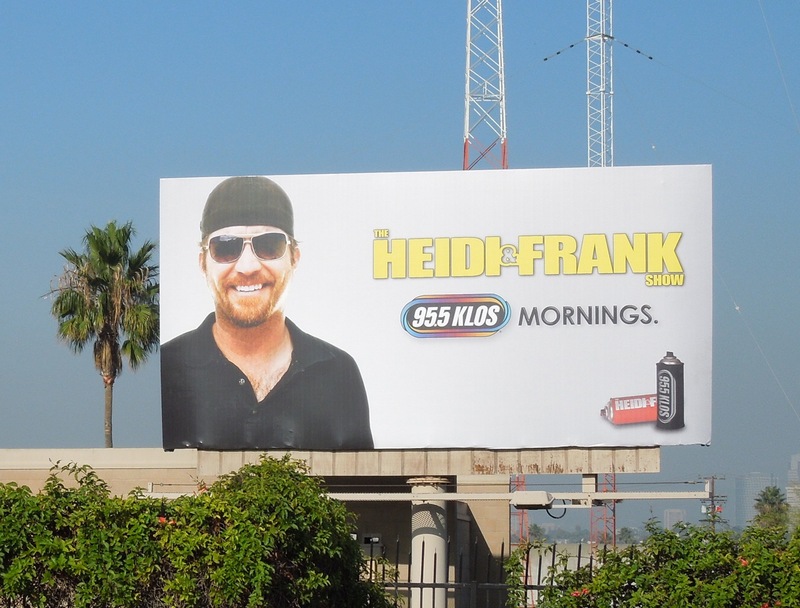 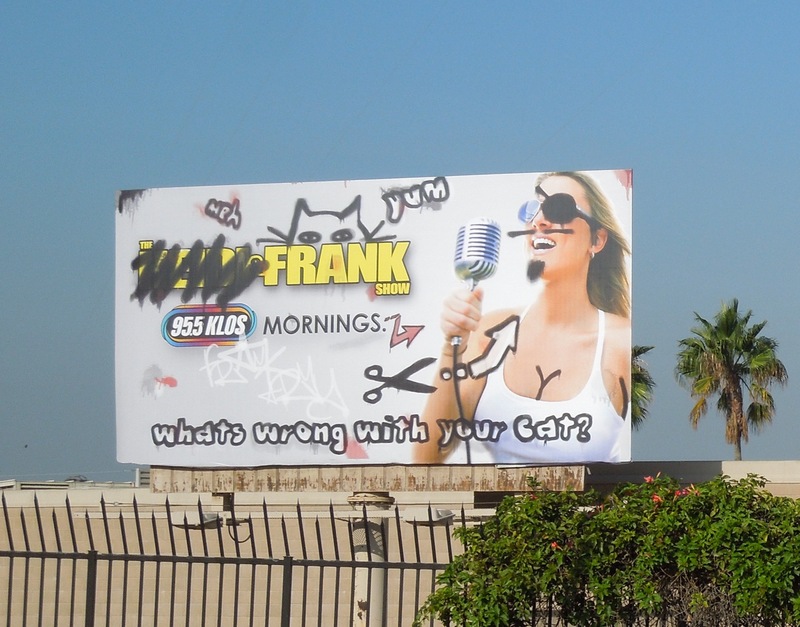 On second glance upon seeing the spray cans, realisation struck that this was actually a deliberate design and this was in fact a pretty clever side-by-side ad creative for The Heidi & Frank Show on 95.5 KLOS mornings. 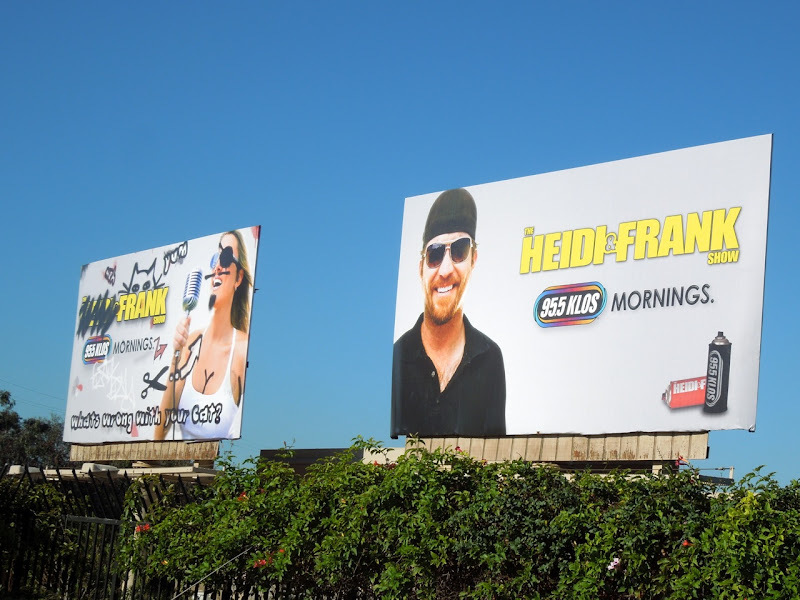 This fun billboard duo were snapped along South La Cienega Boulevard just before West Jefferson Boulevard on November 18, 2012. Radio shows are often hard to advertise because they aren't a visual medium, but here are a few more examples of original radio station billboard advertising.